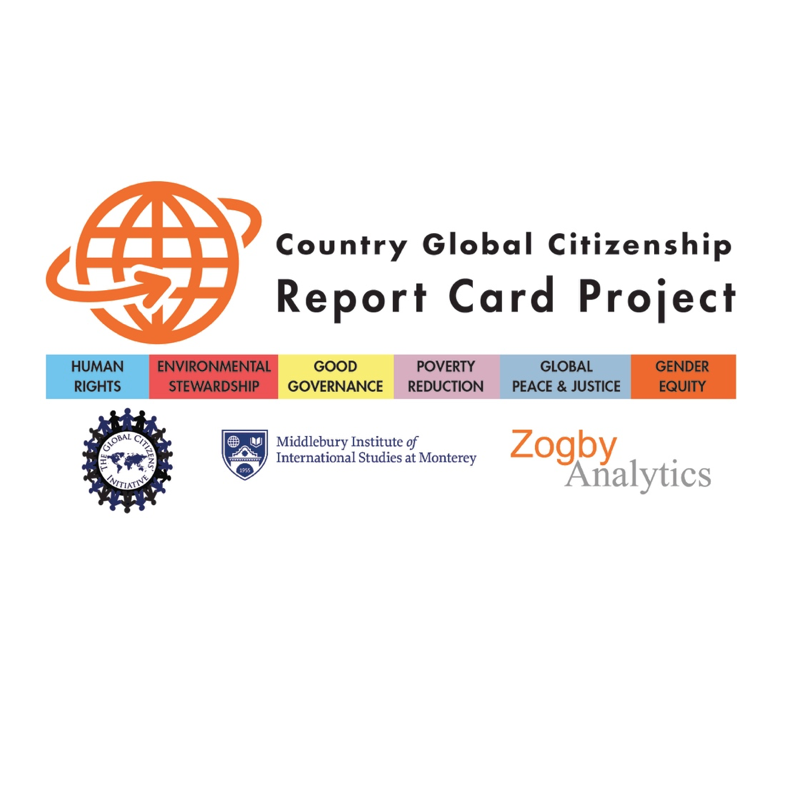 Are you an employee of Country Global Citizenship Report Card Project? The Country Global Citizenship Report Card is a reporting system that assesses the ability of individual countries to function as global citizens, members of a community of nations that work together to solve global problems and uphold shared values. The Report Card scores countries on the degree to which they are signing and implementing existing international conventions and treaties and adapting best practice standards that reflect world values. The Country Global Citizenship Report Card Project seeks to make nation-states more accountable for their efforts to end poverty, protect human rights, safeguard the environment, promote good governance and ensure global peace and justice.